651 Hair at Advanced Cosmetic Surgery and Laser Center has the technology to help you in the fight against pattern hair loss. We offer products such as ROGAINE®, Propecia®, and laser treatments. Millions of men and women experience hair loss. By learning the facts and understanding them, you’re taking the most important step towards taking control of your hair loss. The active ingredient in ROGAINE® products reinvigorates hair follicles that are shrinking. ROGAINE® products work in two ways, they revitalize hair follicles and they regrow your own hair. In time, ROGAINE® will reduce your hair loss and regrow natural, thicker-looking hair. Give us a call to see if ROGAINE® is right for you! It is the first pill to effectively treat pattern hair loss on the top of the head and the mid-scalp area on men. The product Propecia® works by blocking formation of DHT in your scalp. By lowering the DHT, it inhibits the further shrinking of your affected hair follicles, causing regrowth 48% of the time, or no further hair loss 42% of the time. 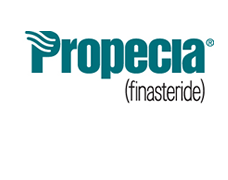 Give us a call to see if Propecia® is the right product for your hair loss prevention! 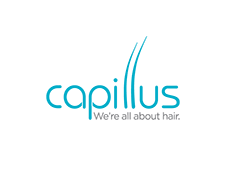 Capillus uses low-level lasers to treat hair loss and promote regrowth. One specific option, the Capillus272, is an exciting new technology that utilizes 272 low-level laser diodes to stimulate hair follicles. This very portable and discreet system fits easily under a hat or scarf and can be used virtually anywhere. 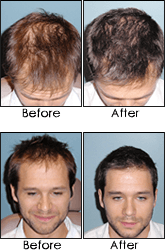 Capillus Laser Treatment is a safe alternative to Rogaine and Propecia. For more information about Capillus laser light therapy, click here. The iGrow system is another type of laser light therapy that stimulates hair follicles to stop hair loss and encourage new growth. It uses a combination of LED and diodes in a cap that plugs directly into a wall outlet. Studies of the iGrow system have shown it to be especially effective with male pattern baldness, and it is one of the most affordable options available in laser light therapy. The iGrow system is an alternative to Rogaine and Propecia. For more information about the iGrow system, click here. LaserCap® is a non-chemical, non-invasive, pain-free treatment that can be applied almost anywhere, anytime. The LaserCap® includes the rechargeable battery pack, A/C power adapter for charging, the patented laser therapy device containing 224 'pure' laser diodes (no LEDs) 650nm/5mW each. Sturdy airport-compliant carrying case included. International power adapters are available. Rechargeable battery pack means total cordless freedom during treatment. For more information about the LaserCap system, click here.